In a study carried out, about 4.4 million peoples’ health from over 200 countries got checked up the world over. It transpired that the countries India, China, Pakistan and Indonesia with little or medium income were affected more by diabetes. 90% of the people are type 2 ( treatable), and 10% ( untreatable) type 1 of the disease. It is surprising that men got affected more than the women in the world. Whereas in India and China, more women are affected. In 35 years the numbers of women in India increased by 80% and in China over 50% women. The UN Study pointed out no country the affected person number have decreased. The least affected area is the North Eastern Europe. The diabetes cases have declined for women by 4% in The Northeastern area and men by 6% decrease in Austria, Netherland, Denmark Switzerland, and Belgium. The maximum affected areas are Asia – Pacific, Middle -East and Northern Africa. Amongst them, Egypt is the worst affected followed by Jordan and then Saudi Arabia. By percentage-wise the most affected country is Egypt by 18%, followed by Pakistan with 12%. India ‘s increment is by 6%. The figures released by the University of East Anglia says that if you have diabetes, the likelihood of getting the new jobs have reduced. The maximum effect is on the men. In the USA, the women get affected more. The chances to get employment decrease by two third all over the world. In the USA, the opportunities for women employment fall by 50%. India the Diabetes has reduced the age by 15 years. The people earlier got the disease by the age of 40 years that has now dropped to between 25-30 %. There are 6.2 million having diabetes. Of this 90% have the type 2 diabetes. As per a report, the figure will rise to 10 million by the year 2030 an increase of 35%. Every 7 seconds there occurs a death in the world. In 2012, there were 3.7 million deaths. 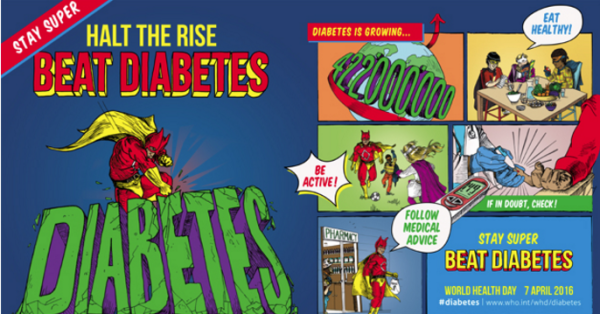 In 2012, there occurred 1.5 million deaths because of diabetes alone. Because of increase of glucose 2.2 million people died. Every 7th-second death due to diabetes occurs. The number of deaths all over the world got to 4.9 million in the year 2014. The money spent on the treatment of the disease is a staggering rupee 35 lakh crores per year. The changing lifestyle, unplanned eating habits, fewer exercises, Increased stress, genetic and environmental conditions have all pointing to an increase of 60% in the disease. Amongst the diabetic person, there is the lurking danger of three-fold heart attacks. Here we have the world’s figures of the increased diabetes cases. employment Type 1 Type 2 of diabetes.